As you know the Swell City sensor often reads inaccurately in the morning. This is why do try to send out a bluff report several times each morning to help you get a more accurate picture of the wind. The one flaw of the bluff report is that it is describing visual things using a few words. 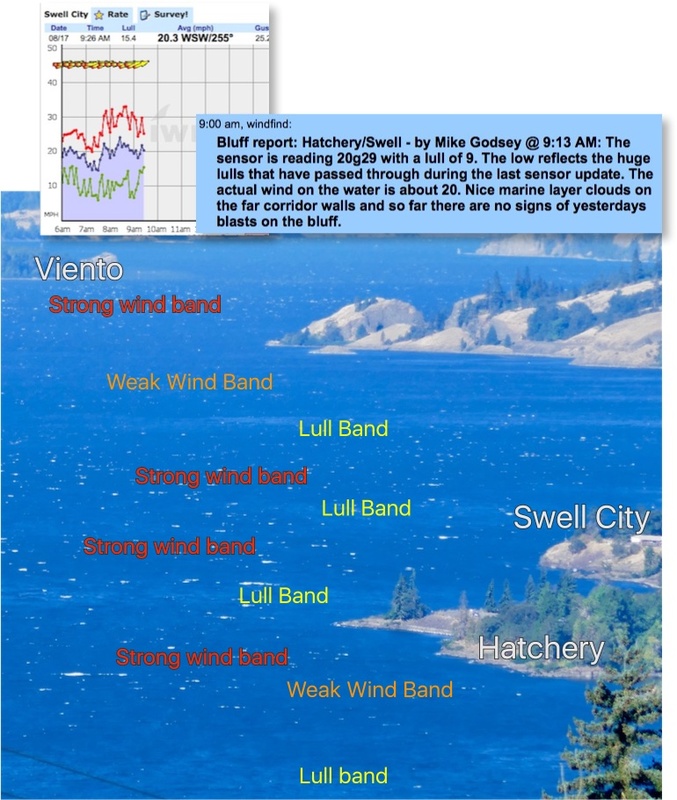 One phrase that you will often see is "bands of lulls and gusts are passing through the Hatch and Swell zone making the sensor data suspect." Below is an image from today at 9AM showing what those bands look like. Clearly if you are on the water at the right time you will have great wind but as a lull passes through you may be slogging.